When visiting Cognac for the first time, one key point was gifted to me by the kind people at Courvoisier, “all cognacs are brandies but not all brandies are cognacs”! 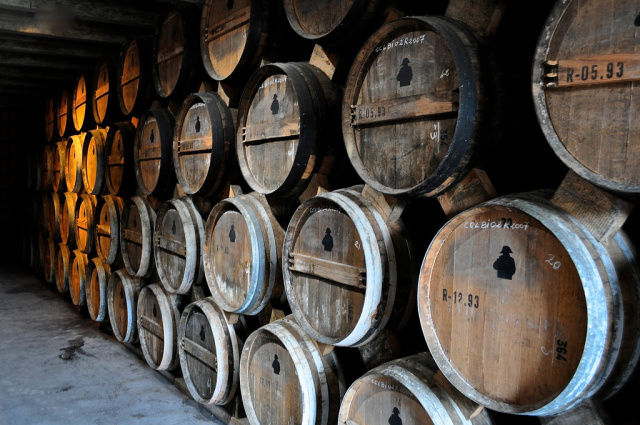 As you travel around Cognac, you can see how fiercely this fact is protected – as well it should be. It’s a heritage to be proud of. By the way, see the black mould on the door in the image above?That indicates that there’s a good cellar inside! All the main cognac houses offer guided tours – the one I took was with Courvoisier of course. I believe that it’s even possible for students of the grape to stay in their chateau now. Legend has it that Napoleon took several barrels of Courvoisier over to his exile in St Helena – a treat much appreciated by his English jailors who named it “The Cognac of Napoleon” – a moniker that remains to this day. Accommodation by the way need not be expensive in this area. 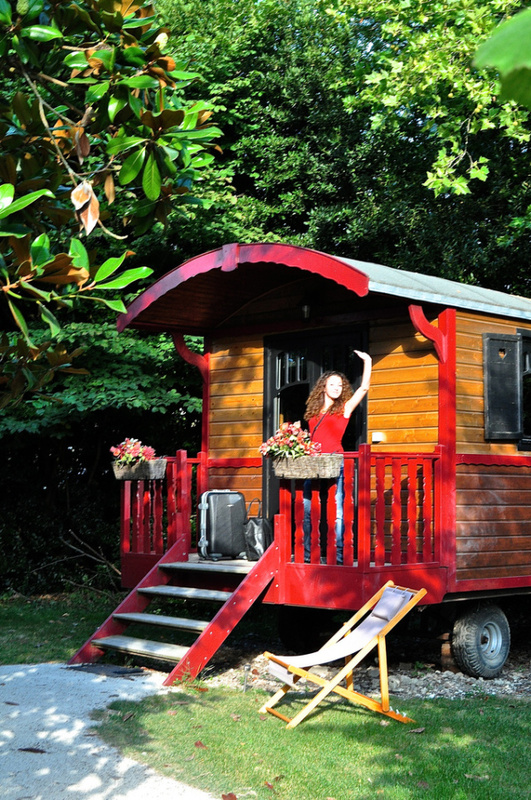 I stayed in a gypsy caravan, complete with shower, wifi and free breakfast and couldn’t have been happier. Yes you are reading this correctly! 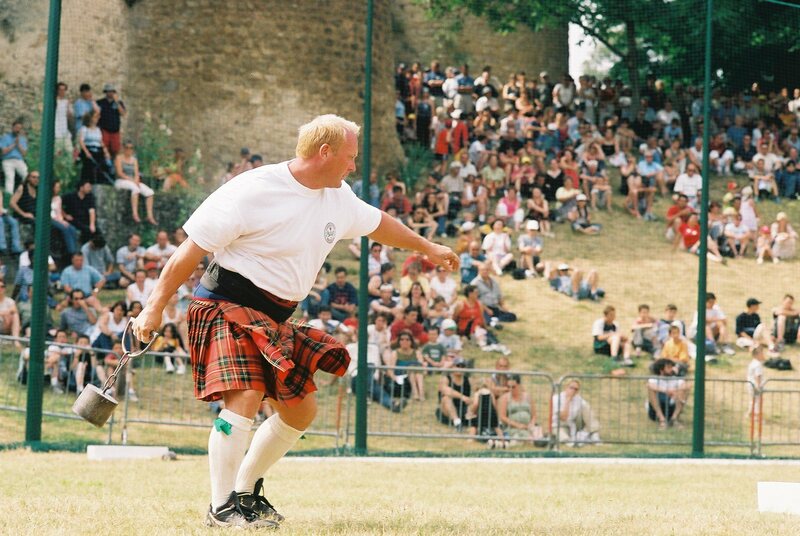 One of France’s most eagerly anticipated events is the bi-annual Highland Games which takes place in Bressuire, Deux Sèvres 13th – 14th June 2015. Launched in 1991 thanks to the combined efforts of the towns of Fraserburgh, Banff and Buchan in Scotland, evolving into an event that is equal parts a sporting event, a musical celebration and a Celtic Festival. Nine nations are represented this year and the American Dan McKim will be defending his title against strong opposition from, amongst others, Scott Rider of England. The World Championship of Tossing the Caber takes place on 14th June. 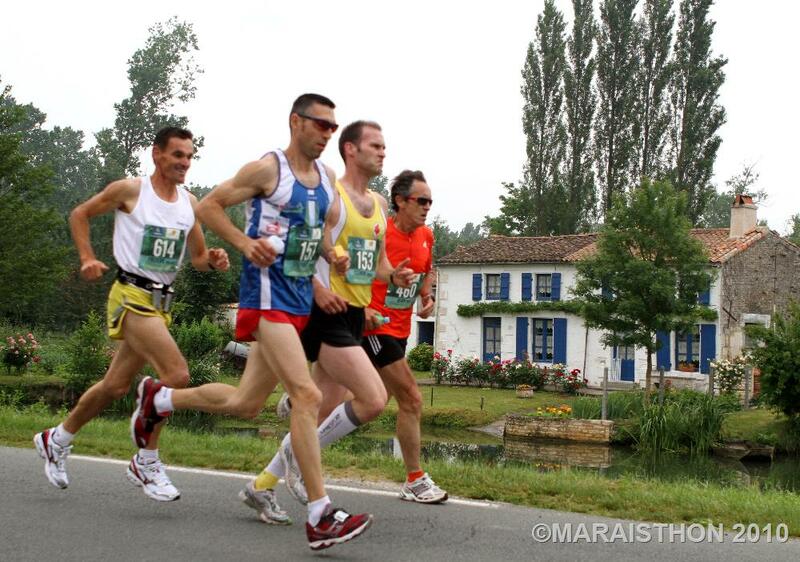 The Maraisthon is a standard 42 km (26.2 mile) race which takes place in Coulon in the Marais Poitevin area of Poitou-Charentes – an area which is often thought to be the most eco-friendly of any region in France. The care and attention to eco-principles is considerable – all the technical structural materials and sporting supports were bio-degradable or recyclable – all the food and gifts given as prizes were sourced from natural or organic products from the region. Even logistically, all the transport for the volunteers and organisers had to work on a zero-pollution basis. The exhibitors had to demonstrate their “greenness” before being invited into the fold. What astounds me however is that after the 2010 event, there were only three pieces of rubbish collected – just three pieces – not bad considering a crowd (including runners) or a couple of thousand people. I couldn’t spot a single piece of litter last year no matter how hard I tried. Home to the weird and the wonderful, the magical and the mystical, Futuroscope prides itself on an experience based on the visual and the senses. 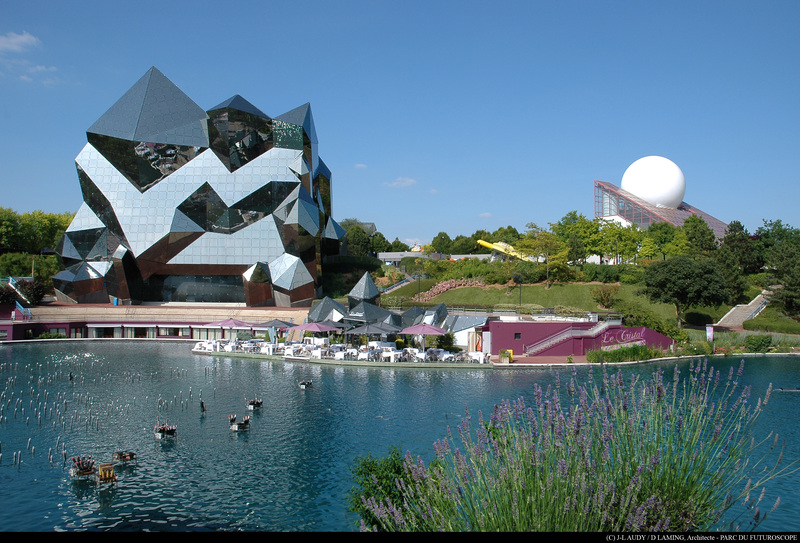 Located near Poitiers in Poitou-Charentes, Futuroscope is celebrating its 28th birthday this year, with a special line-up of entertainment including brand new attractions such as Arena Fun Xperiences, Kube Mysteries and Dances with Robots, remixed by Martin Solveig. 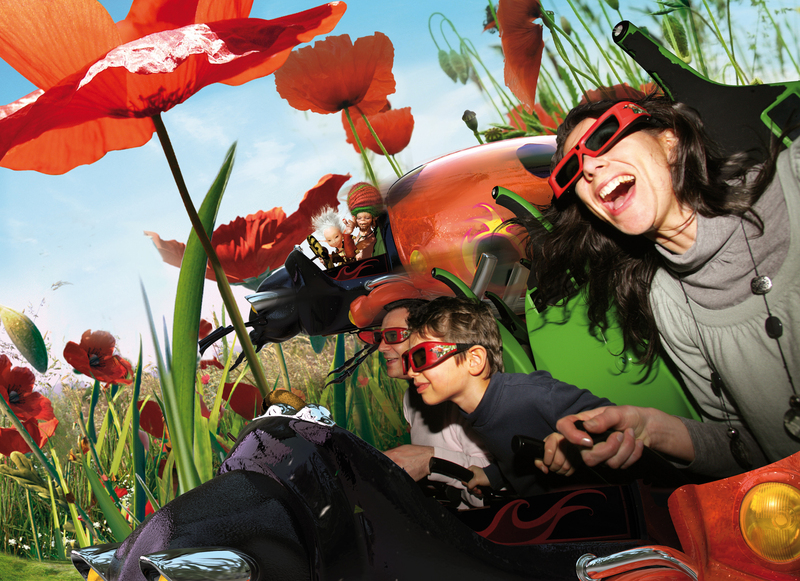 Located within 60 hectares of tranquil green countryside, it offers 25 original experiences you won’t find anywhere else in the world – giant format films, thrill-filled attractions, 3D rides with 4D effects, games, live shows, open-air activities and far more. Located on the banks of the Charente River, Angoulême was renowned for centuries for it’s paper industry. However in the 21st century, the town has become the world capital of image, colour and cartoon. The comic strip has become so intrinsic to the the fabric of Angoulême, that the art form is celebrated at the annual comic festival organised by the The Cartoon Museum. Scenes from comic strips adorn the houses in this picturesques French town. 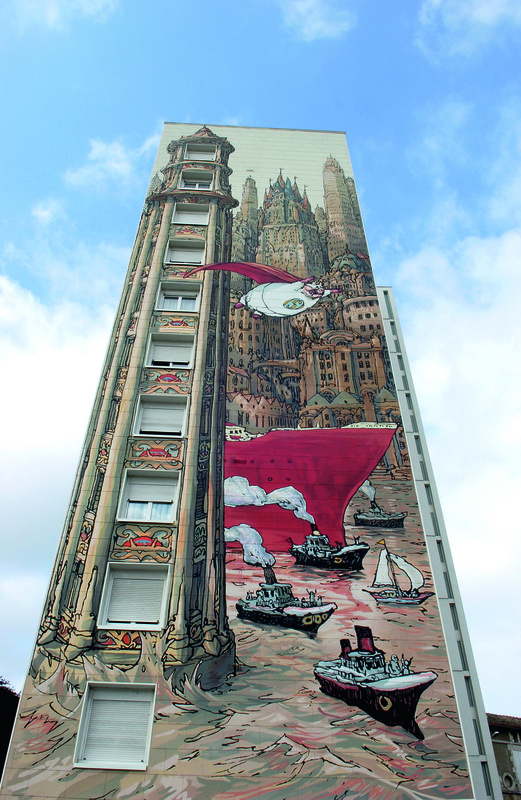 These towering works of art can be seen on the cartoon trail that takes you past each of the 20 painted wall. In the middle ages Angoulême was highly coveted and raided many times over the centuries by their neighbours. Overcome with the constant barrage, the town erected ramparts. These walls became part of the part of the Grand Prix season from 1947 to 1951, hosting events where famous drivers could be seen, such as Juan Manuel Fangio, Maurice Trintignant, Raymond Sommer, Robert Manzon and André Simon. 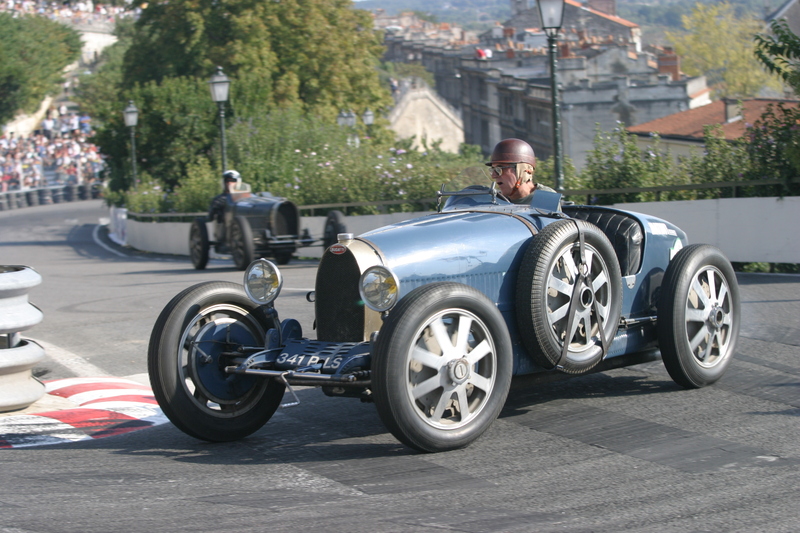 Nowadays, Angoulême invites those who enjoy their cars a little more classic, the pace a little less frenetic to visit in September for the Circuit des Remparts. Région Poitou-Charentes is a client of Magellan PR. Follow them on twitter @poitoucharentes or on Facebook/Atlantic Coast & Cognac Country – Holidays in Poitou-Charentes.